Supreme Court Justice Anthony Kennedy’s retirement announcement has set off a political tempest as the question of his successor is considered. Among those reported to be among the top of President Donald Trump’s short list is Judge Brett Kavanaugh on the U.S. Court of Appeals for the District of Columbia Circuit. 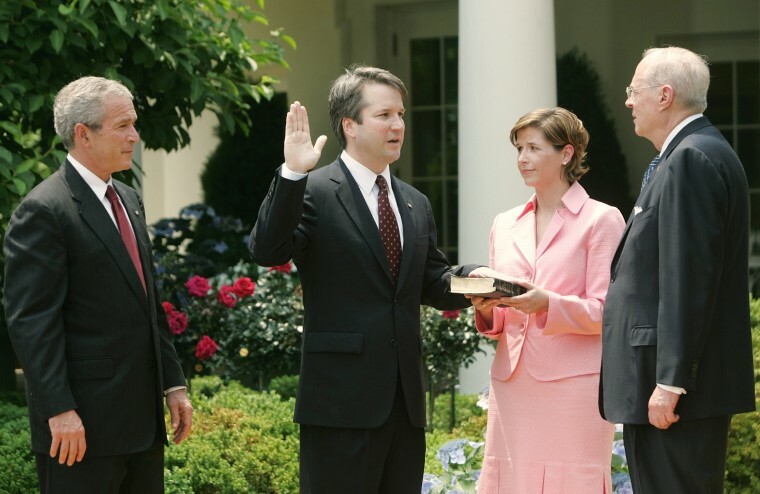 The prospect of a Justice Kavanaugh worries some consumer advocates, who say he has taken an activist position against the Consumer Financial Protection Bureau, the regulator implemented in the wake of the Great Recession in the hopes of thwarting future financial meltdowns. Lauren Saunders, associate director of the National Consumer Law Center, said that the center doesn’t weigh in on potential judicial appointees, but that open hostility to the agency’s mission would be cause for concern. “Obviously, it would be concerning if there was a justice that was inclined to invalidate the CFPB,” she said. The Consumer Financial Protection Bureau, renamed the Bureau of Consumer Financial Protection under acting director Mick Mulvaney, returned nearly $12 billion to 29 million customers of financial services companies from 2011 to 2017 under its original director, Richard Cordray, an Obama appointee and former Ohio attorney general. But the CFPB’s structure — in fact, its very existence — has been a lightning rod since the agency’s inception. Opponents say not making the CFPB subject to the congressional appropriations process — it’s funded directly by the Federal Reserve — gives it unchecked power; supporters counter that having the central bank as its funding source protects the CFPB from partisan-driven attempts to starve it of resources. The bureau’s single director also has been a flashpoint, one on which Kavanaugh has expounded at some length. In a 110-page opinion written in 2016, Kavanaugh argued that the structure of the CFPB is unconstitutional because it is headed by a single director with wide latitude in terms of regulatory power, and who can only be removed for cause, not fired at will. “[W]hen measured in terms of unilateral power, the director of the CFPB is the single most powerful official in the entire U.S. Government, other than the president,” Kavanaugh wrote. The CFPB’s supporters said that conferring the agency with a high degree of autonomy is exactly the point, and that regulation is most effective when it can operate free from the influence of the industry it regulates. “It’s really a fringe view that the CFPB is unconstitutional. The vast majority of courts that have ruled on the question have found the agency to be constitutional,” Saunders said. In January, an appeals court reversed the 2-1 ruling for which Kavanaugh wrote the opinion, but consumer advocates say the agency is still in the crosshairs of legal challenges: This month, a federal judge from New York found that the bureau’s structure was unconstitutional, referring to Kavanaugh’s initial decision. Ely pointed out that much of this legal wrangling may peter out on its own if the bureau’s new director is someone with a more business-friendly outlook. This month, the Trump administration announced it planned to nominate Kathy Kraninger, who reports to Mulvaney in her role at the Office of Management and Budget, to fill the director role full time. This doesn’t make the prospect of a Justice Kavanaugh any less worrisome, Klein said, pointing out that the concept of a financial regulator with a single director and fiscal autonomy goes back to the formation of the Office of the Comptroller of the Currency under the presidency of Abraham Lincoln.